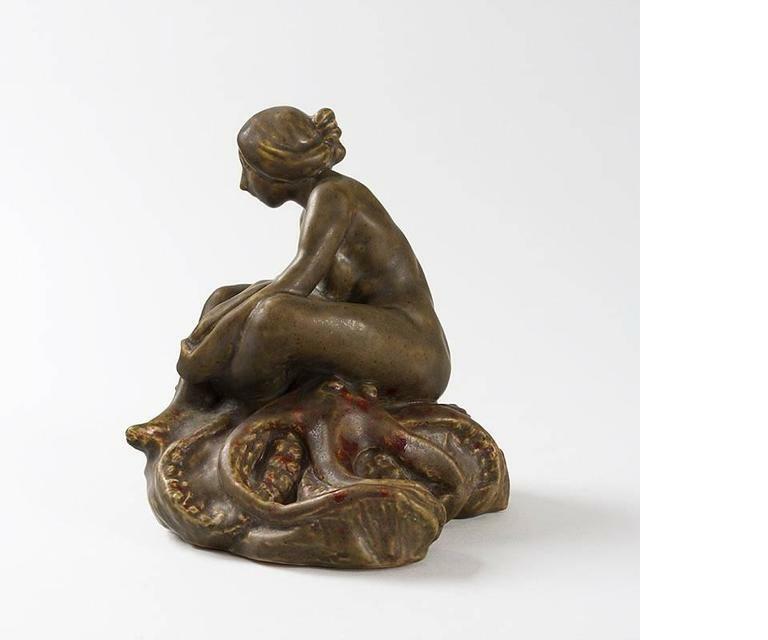 A French Art Nouveau "Femme-Pieuvre," brown glazed ceramic inkwell by Rupert Carabin, wherein a woman ecstatically rips open the head of an octopus, spilling its ink, circa 1897. 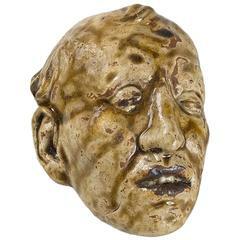 Pictured in: "The Paris Salons 1895-1914, volume IV: Ceramics and Glass" by Alastair Duncan, p.76; "L'Oeuvre de Rupert Carabin 1862-1932, Catalogue D'exposition, Galerie du Luxembourg", 1974, pp.229 and 232; "Art Nouveau, Sculpture" by Alastair Duncan, Academy Edition, 1978, p.20; and in: "Le Modern style" by Laurence Buffet-Challié, p.74, plat 2. Signed, stamped artist's cipher. 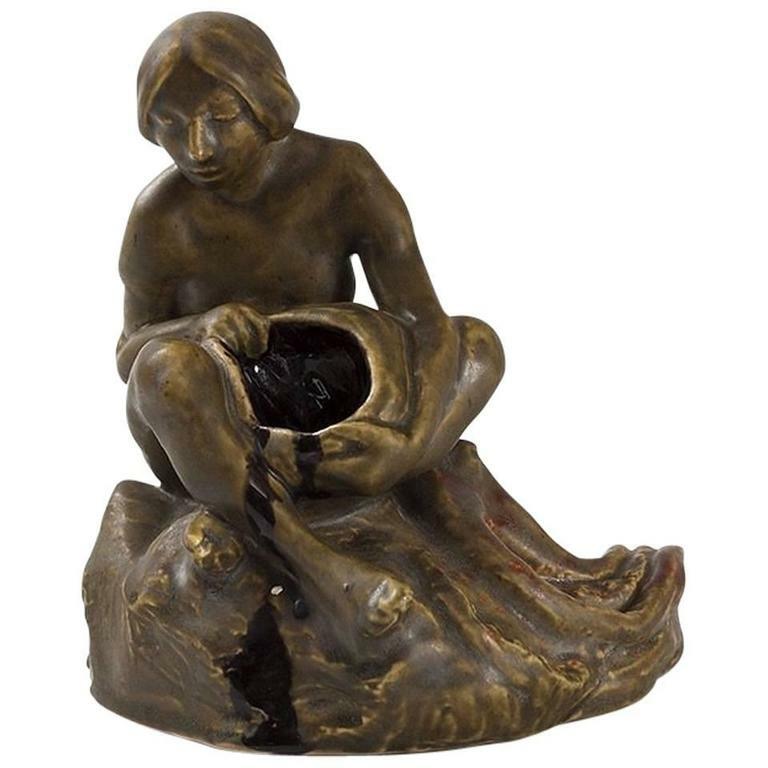 A charming bronze study of a young girl looking down at her feet where her cat is standing exhibiting excellent rich brown patina and very fine hand finished detail, signed Hip Moreau. 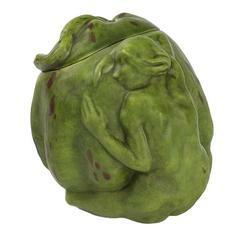 A very beautiful hand-carved alabaster sculpture of a young woman in period dress with excellent hand finished detail, raised on integral naturalistic base and signed Laurent. 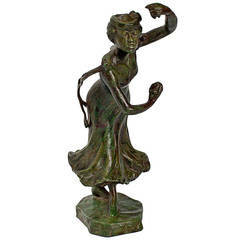 1900 Art Nouveau sculpture girl with flower wreath. 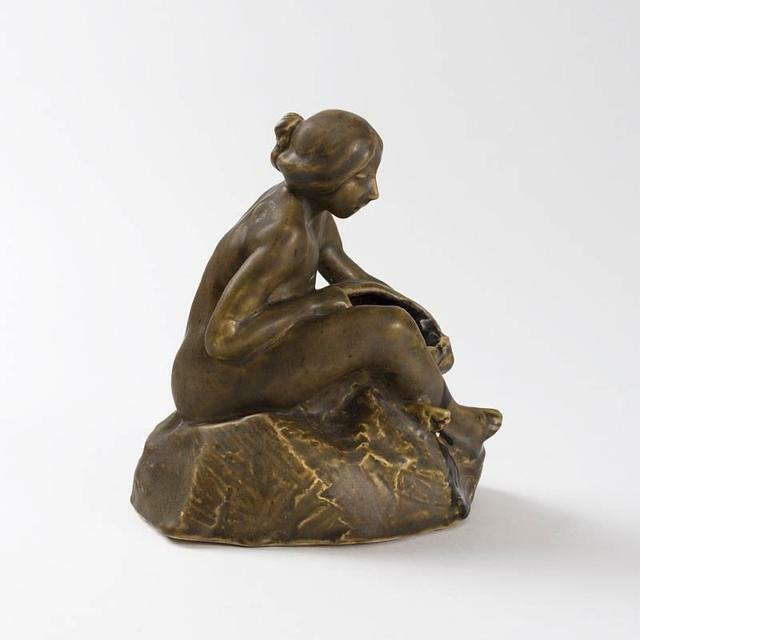 Cast Bronze Figure by Georges Oudot “Femme Debout Au Drape"